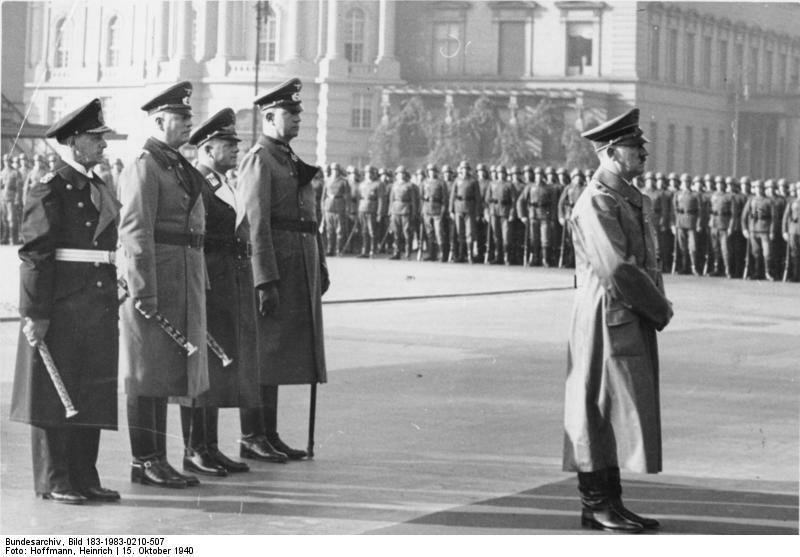 …while on the very same day this photograph was taken of the man responsible attending the state funeral of Admiral Adolf von Trotha. That’s a BIG hole when it’s big enough to swallow a double-decker bus! Hi Jeff. Big hole indeed, pity the guy in the scond photo wasn’t on that bus. The irony in the pics, of course, is that the implementation of the Blitz spelled, according to most WW2 scholars, not the demise of the British but the doom of the Third Reich. If Hitler hadn’t taken the bait when the Brits bombed Berlin in early September, 1940 and shifted to attacking cities, it is conceivable that the Luftwaffe might have worn down the RAF to the point where an invasion might have been launched or, more likely, Churchill forced to do what he swore he’d never do–sue for terms of peace. All that is, of course, academic, since Hitler blew it, gave the RAF and the British military breathing room, allowed England to remain a base of all Allied forces arrayed against him in the West, and ultimately lost the war. Very nice interpretation of the second photo, David. It gives that scene a very different context when looked upon with some knowledge and hindsight. There’s a grim satisfaction to the idea of him signing his own death warrant. I saw a dio once of the bus-in-the-crater-image. The scene is open to all sorts of permutations. I’ll have to try and search that one down; seen a few ‘Blitz’ scenes but not that. Things like your ‘no comment’ drive me nuts with the possibilities for dios.